About ten years ago, we started a tradition…..hosting family and friends for Christmas Eve. Numbers vary, year to year, so there can be anywhere from 20 to 30 people. It is the one day of cooking I look forward to, all year. There has been one simple rule, for the last ten years – everything must be homemade and I mean EVERYTHING. No yummy Trader Joe’s prepared apps, no ‘prepared’ anything! Plus, it’s usually the same crowd so I have to mix it up. Yes, there are staples that appear every year but I do my best to keep attendees on their toes. This recipe was part of the 2014 lineup and appeared again, Christmas Day (I forgot to cook a batch, the night before!). 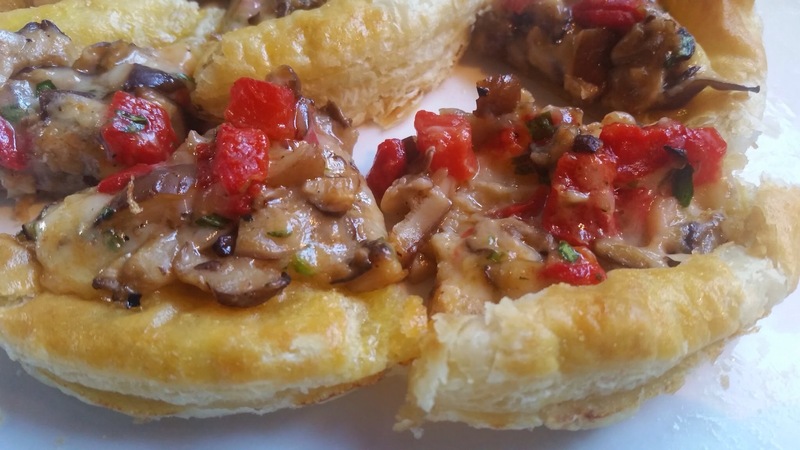 It’s a very simple shiitake roasted red pepper tart and it was definitely a winner. Initially published by Fine Cooking Magazine in the 90’s, their recipe is still available via their site. 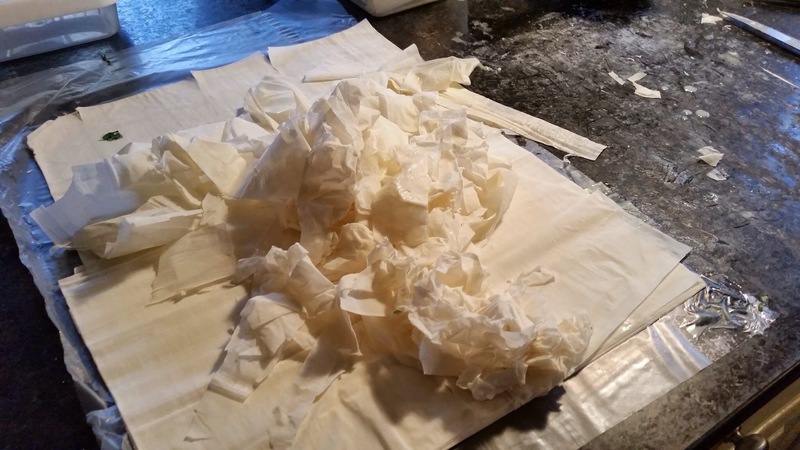 Unlike phyllo dough, puff pastry is very easy to work with. You just need to be sure it’s thawed before attempting to unfold it. I’ll take puff pastry over phyllo dough, any day of the week. I’m sure you can all relate to this disaster…. The original recipe makes one large tart but I needed small finger foods so I opted to take a 6” ring and make mini tarts. This yielded 8 tarts that I then quartered, before serving. Mushrooms get diced and sautéed in butter. 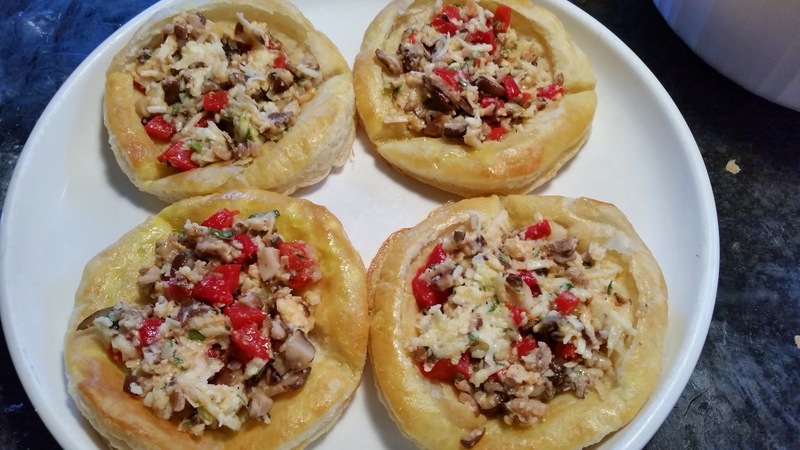 The rest of the ingredients get added to the cooled mushrooms and then it was time to load up the tarts! I also roasted the almonds and topped the tarts with parm and tarragon. Unfold the pastry sheet on a parchment-lined cookie sheet and score a 3/4-inch border on each side with the tip of a paring knife. Beat the egg in a medium bowl. Brush the border with some of the egg. Prick the rest of the crust all over with a fork and bake until puffed and golden, about 15 minutes. 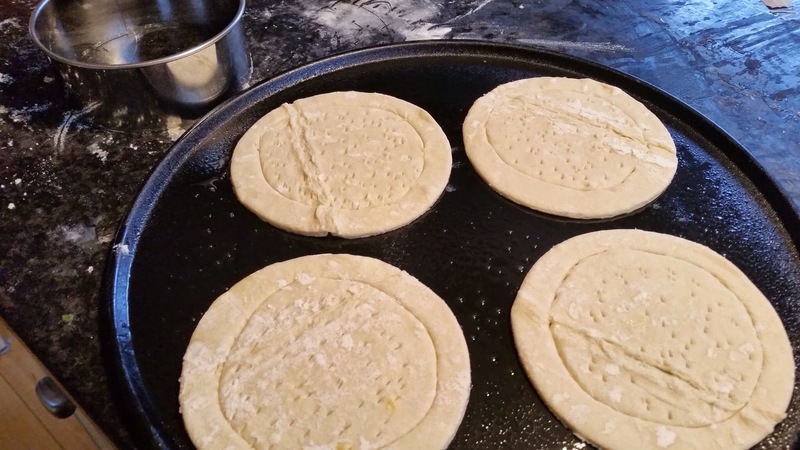 Gently press the center of the pastry to flatten large air pockets. 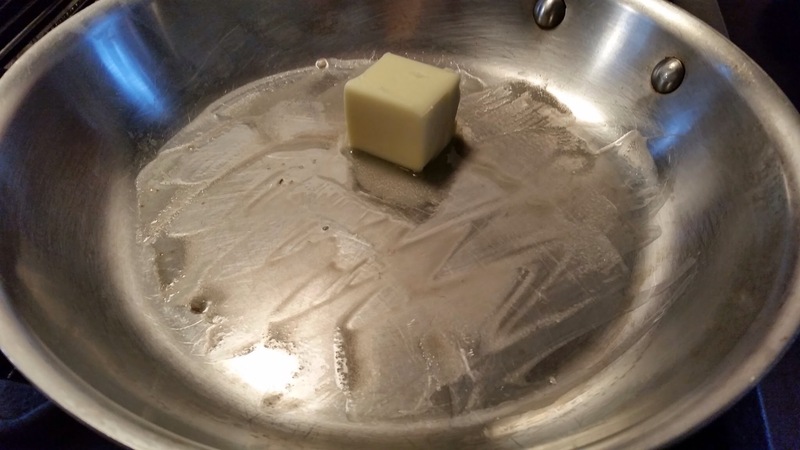 Meanwhile, heat the butter in a 12-inch skillet over medium-high heat until the foam subsides. 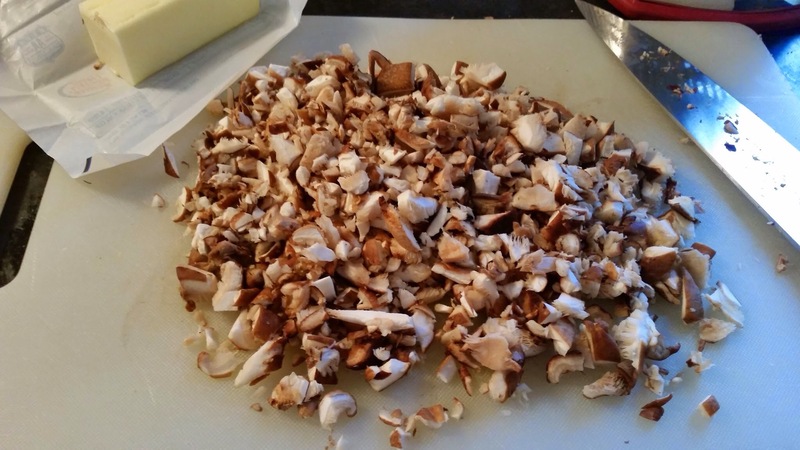 Add the mushrooms, season with 1/2 tsp. salt, and cook, stirring occasionally, until the edges start to brown, 3 to 5 minutes. Remove from the heat to cool slightly. Add the mushrooms, red peppers, cheese, 1 Tbs. of the tarragon, and 1/2 tsp. pepper to the remaining beaten egg and gently stir to combine. Spread the mixture over the tart, leaving the border uncovered. Sprinkle the almonds over the vegetables and continue to bake until the cheese is melted and the topping is heated through, about 10 minutes more. Remove from the oven and sprinkle with the remaining 1 tsp. tarragon. Cool slightly before serving.